This cat’s expression changes with even minute differences in the eyes and the shapes so every one you draw will be unique. Note the similarities between the steps for this cat and those of the sheep in the Use step-out. It is pretty easy to create many different animals through small alterations in the head shape, ears and eyes. The possibilities for variations on your cat are endless. Make the body spiky or add wavy lines for long fur. Add tiger stripes or spots. Move the tail or make it thin and wiggly. 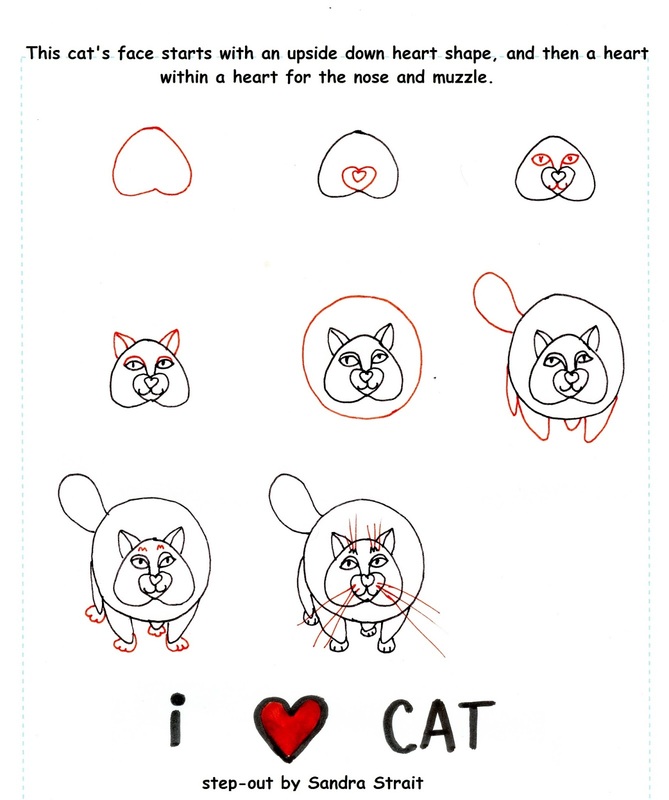 It’s your fantasy landscape – have fun creating your own cat!